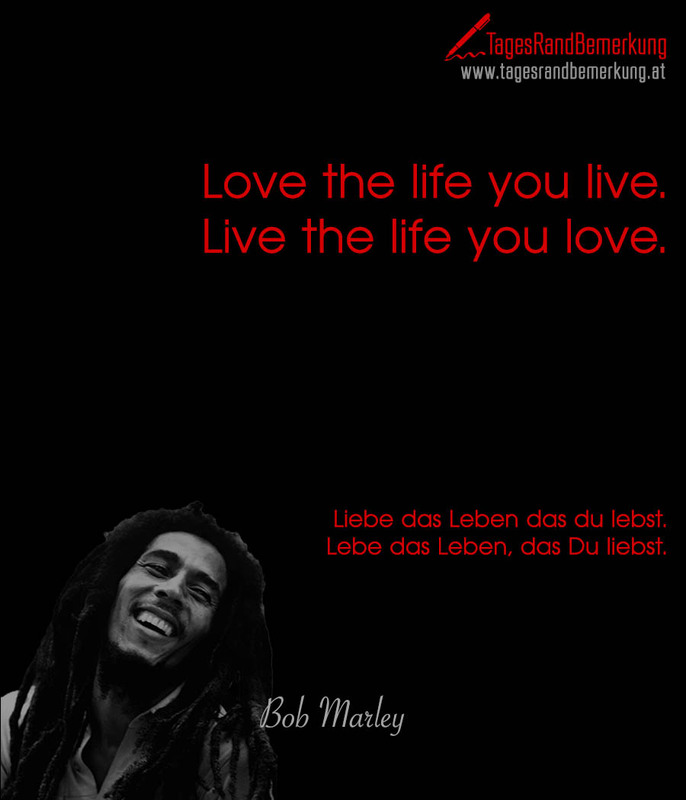 Liebe das Leben das du lebst. 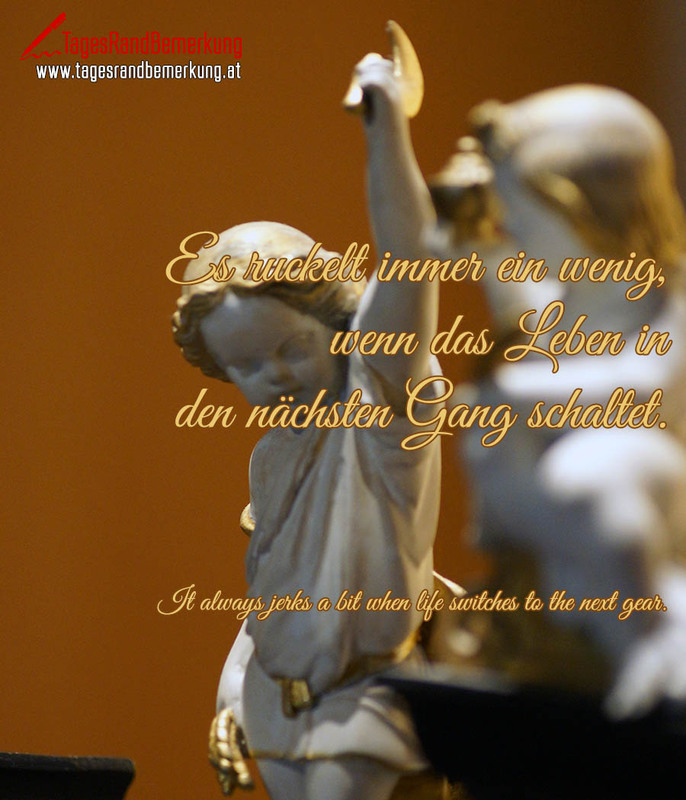 Lebe das Leben, das Du liebst. Es ruckelt immer ein wenig, wenn das Leben in den nächsten Gang schaltet. It always jerks a bit when life switches to the next gear. Später ist vielleicht zu spät. Wir leben jetzt. 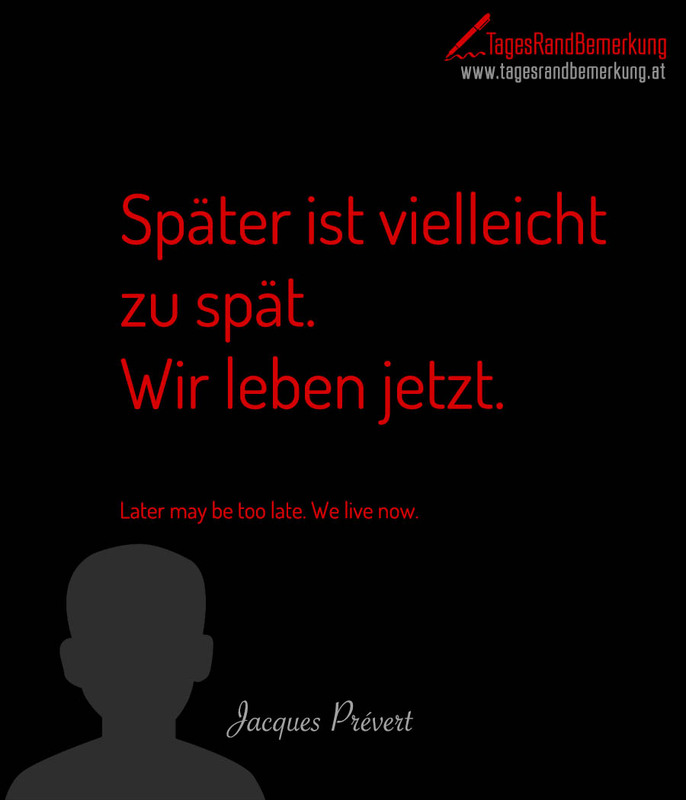 Later may be too late. We live now. Das Leben ist so schön wie du es findest. 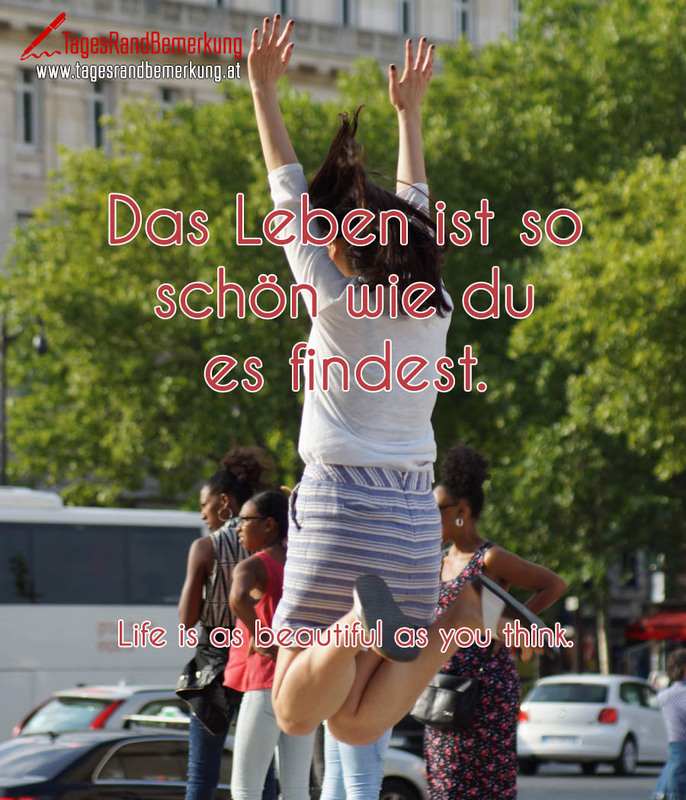 Life is as beautiful as you think. 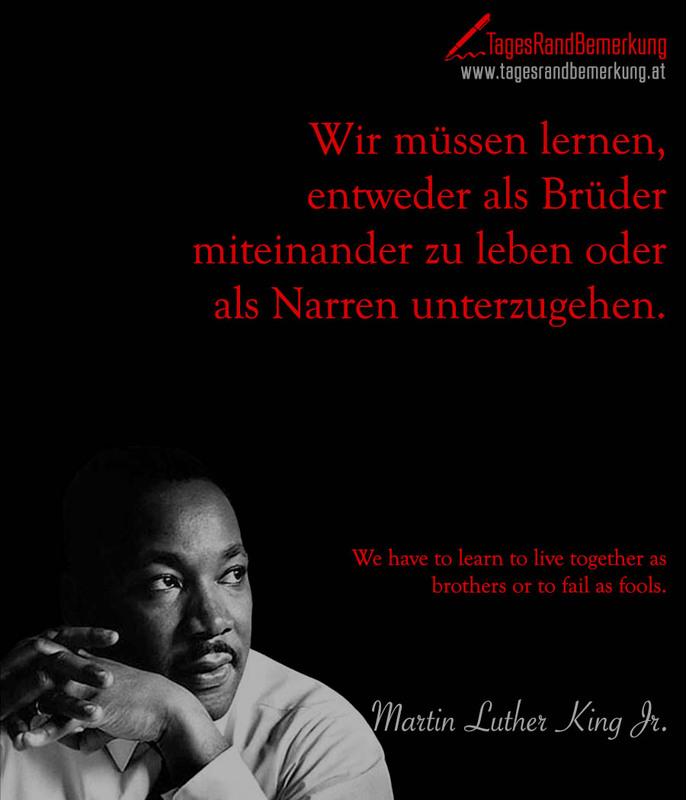 We have to learn to live together as brothers or to fail as fools. 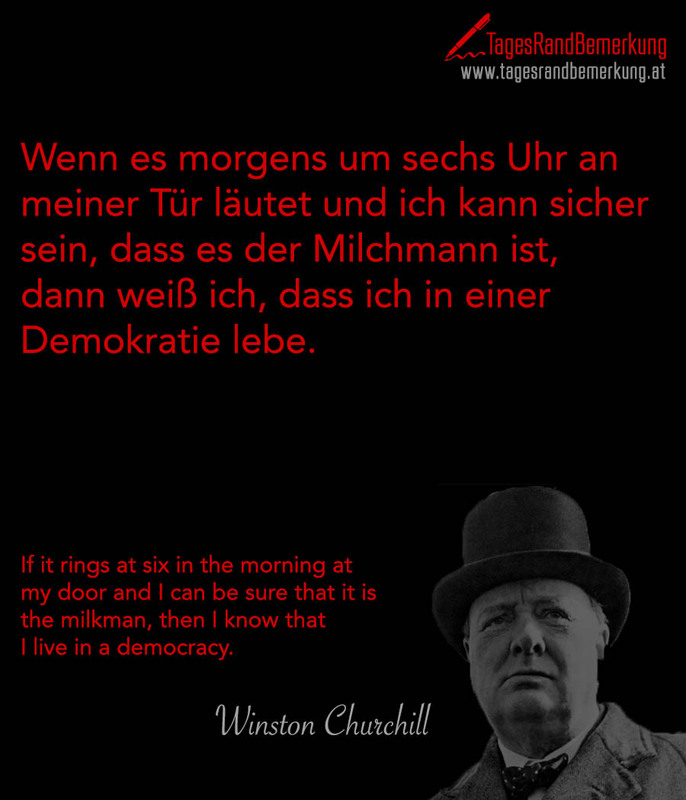 If it rings at six in the morning at my door and I can be sure that it is the milkman, then I know that I live in a democracy. Nothing in this world is safe except death and taxes. 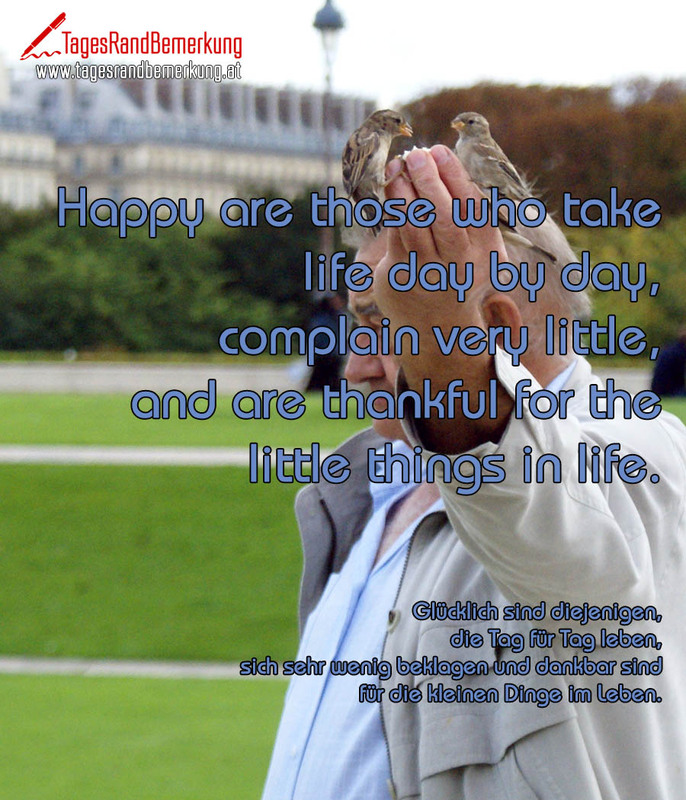 Happy are those who take life day by day, complain very little, and are thankful for the little things in life. 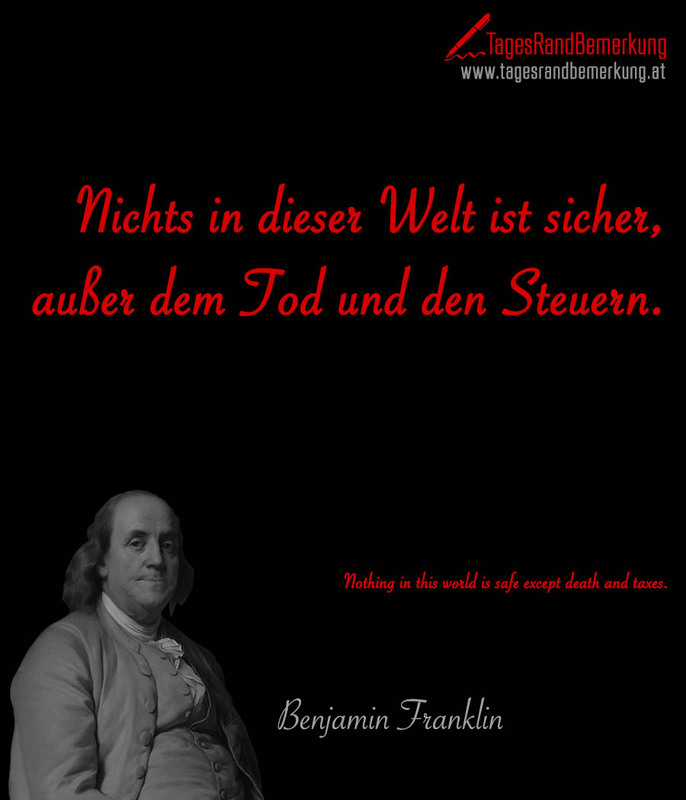 Glücklich sind diejenigen, die Tag für Tag leben, sich sehr wenig beklagen und dankbar sind für die kleinen Dinge im Leben. Unser Leben ist das Produkt unserer Gedanken. 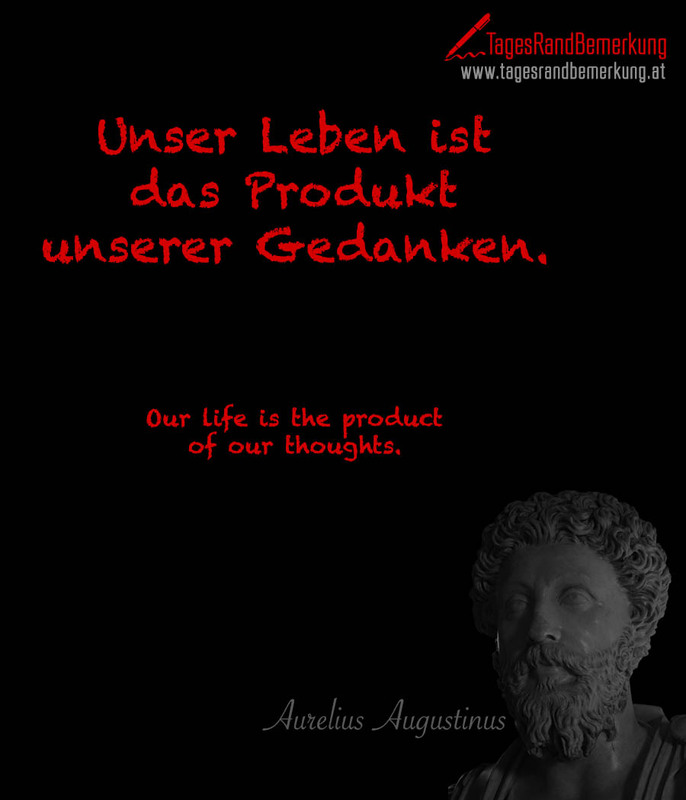 Our life is the product of our thoughts. 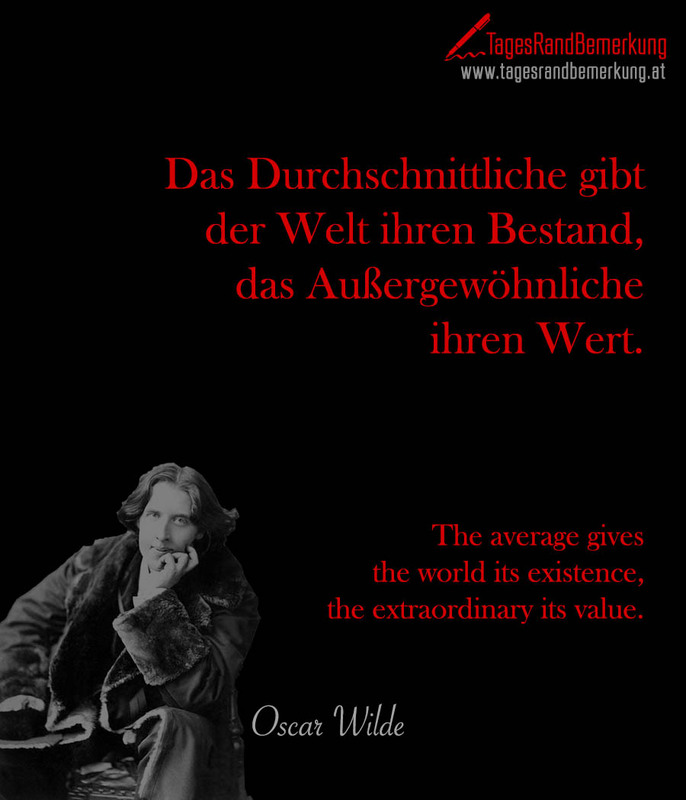 The average gives the world its existence, the extraordinary its value.